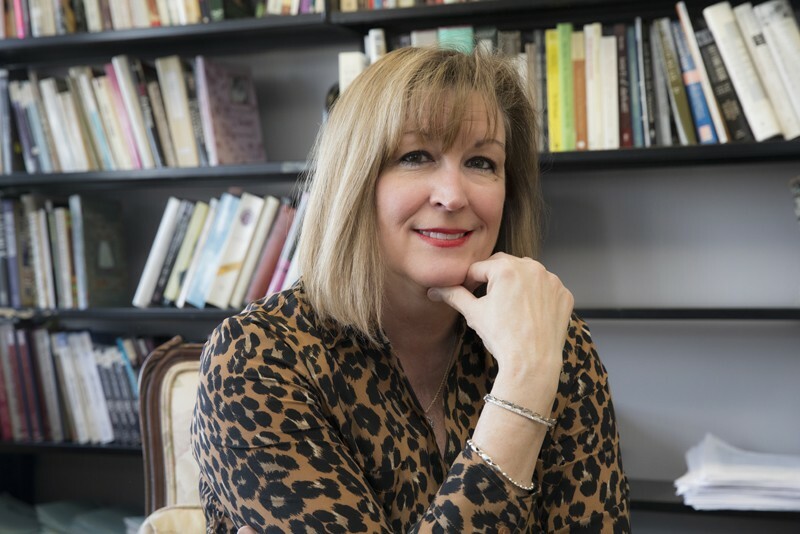 Diane Miller Sommerville, an associate professor in the History Department, is a finalist for the Gilder Lehrman Lincoln Prize. Her book, "Aberration of Mind: Suicide and Suffering in the Civil War-Era South" is one of five books nominated for best work of 2018 on the Civil War. Image Credit: Jonathan Cohen. Diane Miller Sommerville, an associate professor in the History Department, is a finalist for the Gilder Lehrman Lincoln Prize. Her book, "Aberration of Mind: Suicide and Suffering in the Civil War-Era South" is one of five books nominated for best work of 2018 on the Civil War. Photography: Jonathan Cohen. The finalists were chosen from 102 book submissions. Besides Sommerville, the other nominees included Richard J.M. Blackett (“The Captive’s Quest for Freedom: Fugitive Slaves, the 1850 Fugitive Slave Law, and the Politics of Slavery”); David Blight (“Frederick Douglass: Prophet of Freedom”); William Freehling (“Becoming Lincoln”); and Joanne B. Freeman (“The Field of Blood: Violence in Congress and the Road to Civil War”). The Lincoln Prize was awarded to Blight on Feb. 12 – the birthday of the 16th president. The finalists will be honored at an April gala at the Union League Club in New York City. “Aberration of Mind” examines how suicide and psychological distress shaped and affected Southerners during the Civil War and its aftermath. The book, published in late 2018 from the University of North Carolina Press, looks at the struggles of men going to war and returning from war, their wives and mothers, and slaves and the newly freed men and women. Sommerville spent several years travelling to the South and examining asylum records, newspapers, diaries and coroner’s reports. Among the places she visited were the Georgia Archives in Morrow, Ga., Columbia Theological Seminary in Decatur, Ga.; the University of North Carolina-Chapel Hill; and other cities and towns such as Nashville, Tenn., and Columbia, S.C. While she mostly travelled in the summer and in between semesters, a National Endowment for the Humanities Fellowship Award in 2011 enabled her to spend a year conducting research and writing. Websites such as Ancestry.com (a genealogy research site) and Fold3.com (a collection of military records) have “revolutionized what social historians can do,” Sommerville said. The sites played key roles in her project. Sommerville also credited history colleagues who shared sources and offered to read her work. While “Aberration of Mind” features dozens of stories about suicide victims, it also highlights those who either contemplated suicidal thoughts or experienced severe emotional or psychological suffering, be it the death of a loved one or the feeling of failure. Sommerville’s initial research focused on suicide, but she soon realized that “suffering” was also a major part of the story, especially for women. One example of a suffering Southerner was Emily Harris, an overwhelmed and depressed mother of seven from South Carolina whose husband left for the front — leaving his wife to head the household and oversee the family’s farm and slaves. Harris’ stress, anxiety and despair led her to believe she was going insane and to fantasize about death as an escape, though she never attempted suicide. “Before the Civil War, a person who committed suicide was considered weak, a coward,” she said. “Killing oneself was also viewed as a sin because it encroached on God’s prerogative. Only God decides one’s time of death. But the vast and pervasive wartime and postwar suffering and the increased instances of suicide made southerners more tolerant of or sympathetic to those who killed themselves. Suicide thus came to be seen as a noble sacrifice to a worthy cause (for whites) — the failed Confederacy. Sommerville believes “Aberration of Mind” is a book that will appeal to those interested in the Civil War, women’s history and African-American history. But she hopes it will provide them with a different perspective and allow readers to learn about the intimate lives of southerners, especially how the war affected their mental well-being. Sommerville’s next project will explore the effects of postpartum disorders in female asylum inmates of the 19th century. Before then, she will deal with requests for interviews and blog posts about “Aberration of Mind.” A formal book launch and talk is scheduled on campus for April. Sommerville said she is pleased that the Lincoln Prize nomination shines a spotlight on Binghamton University.